Posted by Chris Lojniewski on November 29th, 2016 . There are some ways to setup GIT hooks, but it can be a bit complicated, and you need to do the same job for every repository. 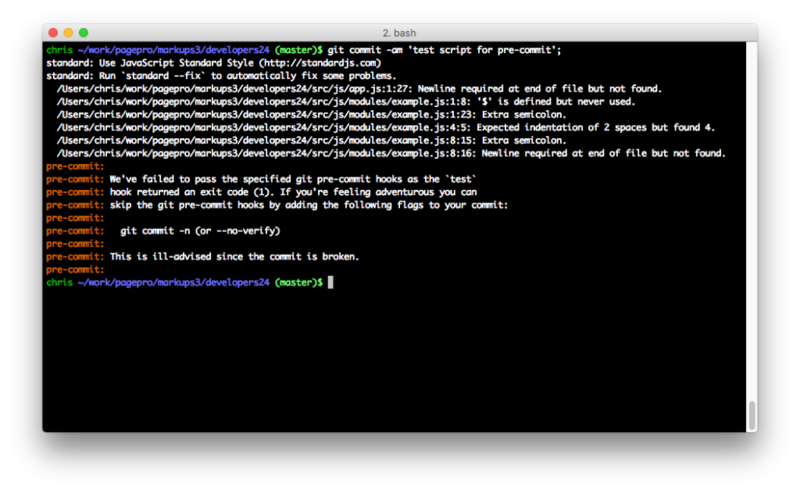 Much easier way is to use npm module called pre-commit, it creates GIT hooks automatically. Once everything is set up, you can try to do the commit. Pre-commit hook should automatically do the testing and prevent you from committing in case problems with the code.